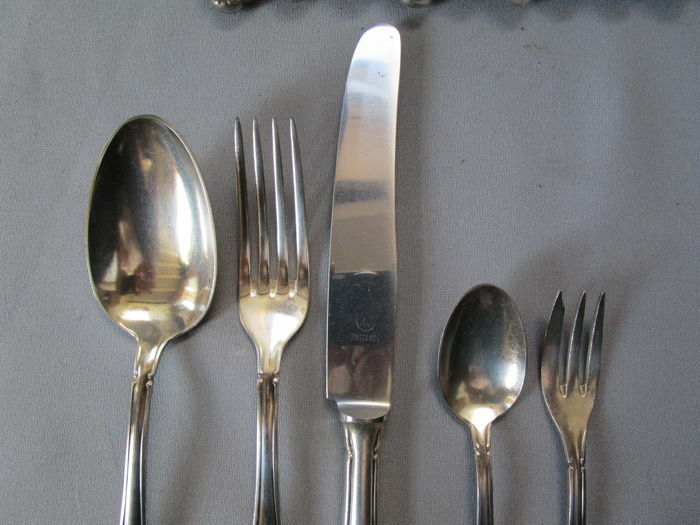 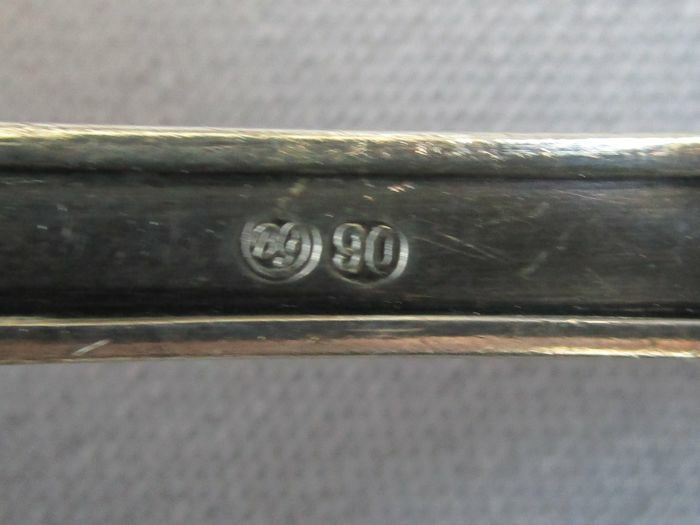 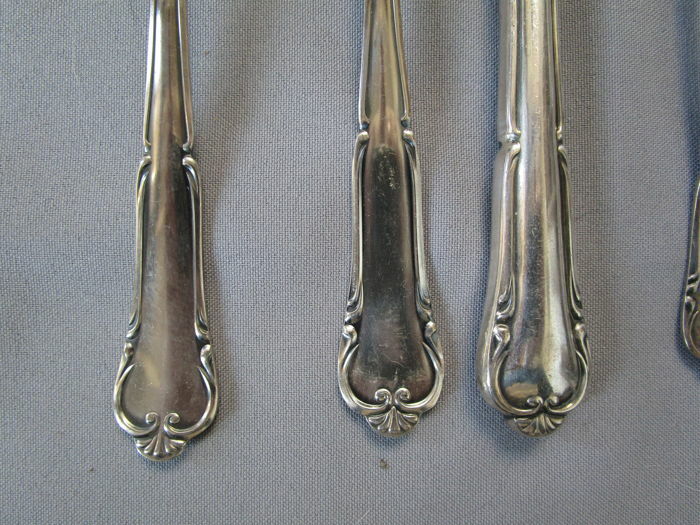 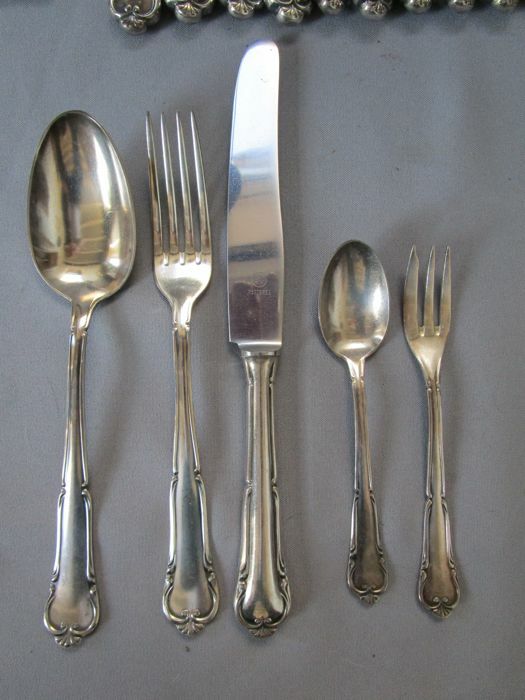 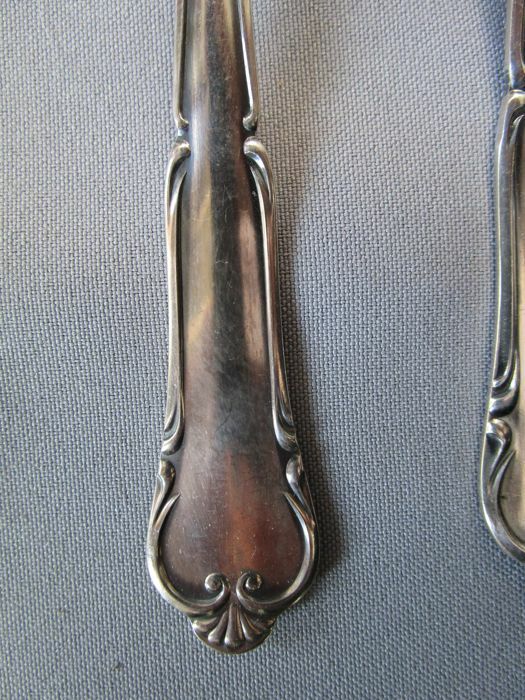 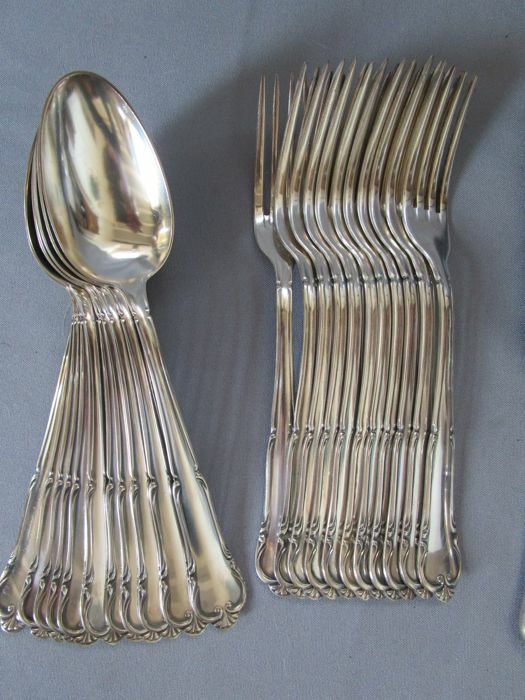 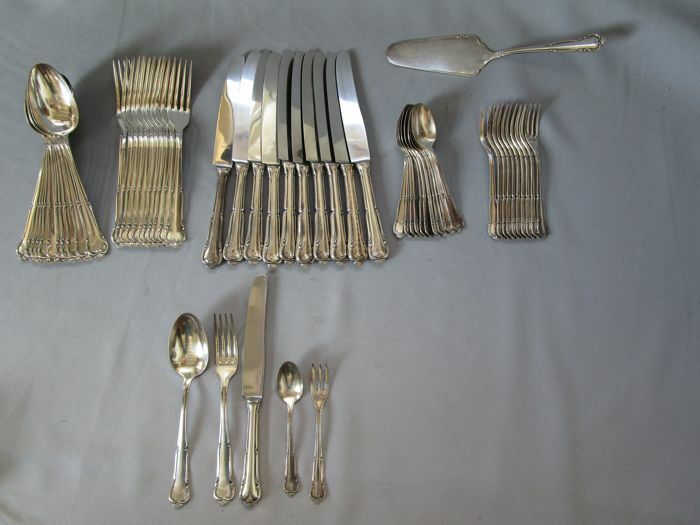 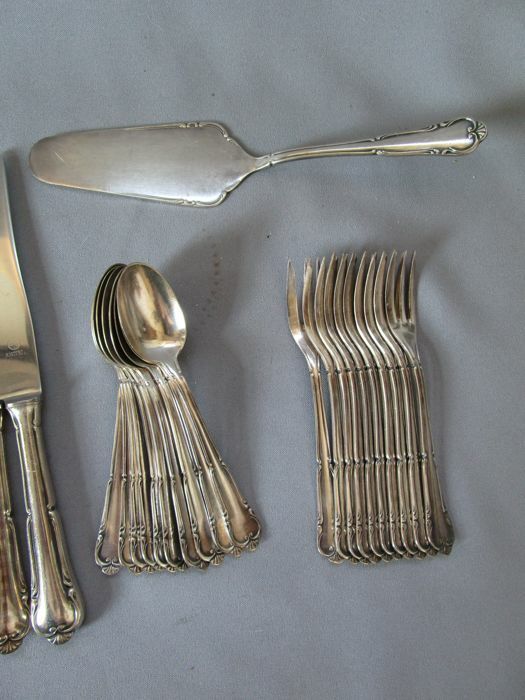 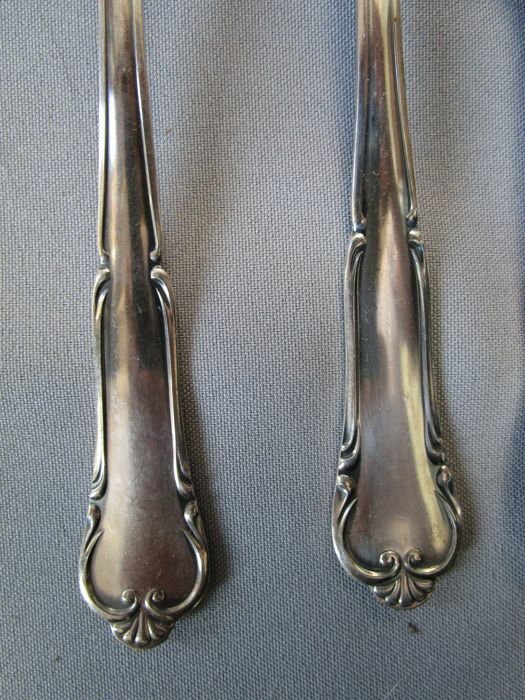 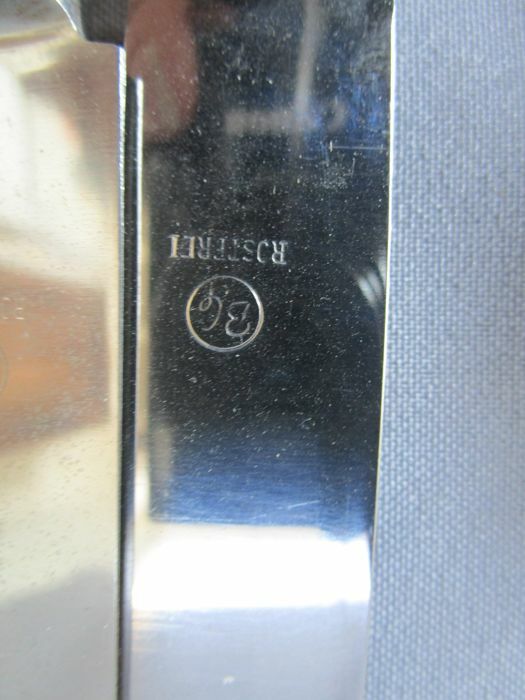 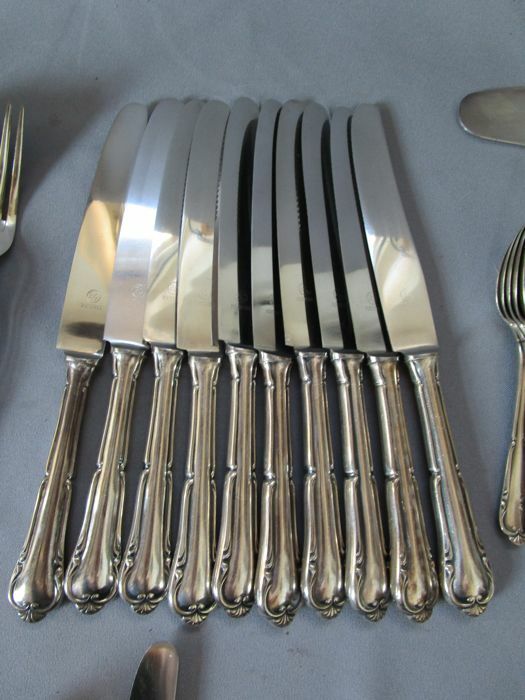 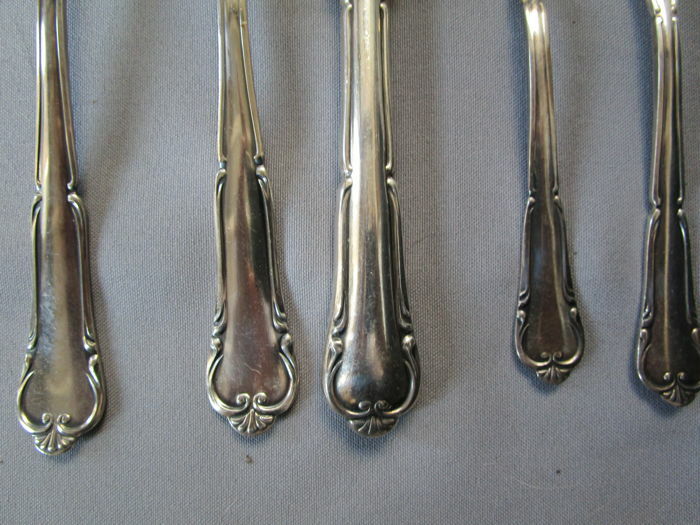 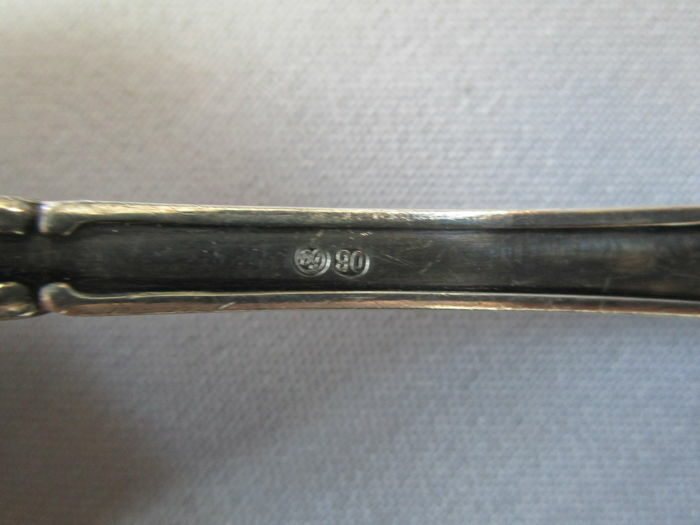 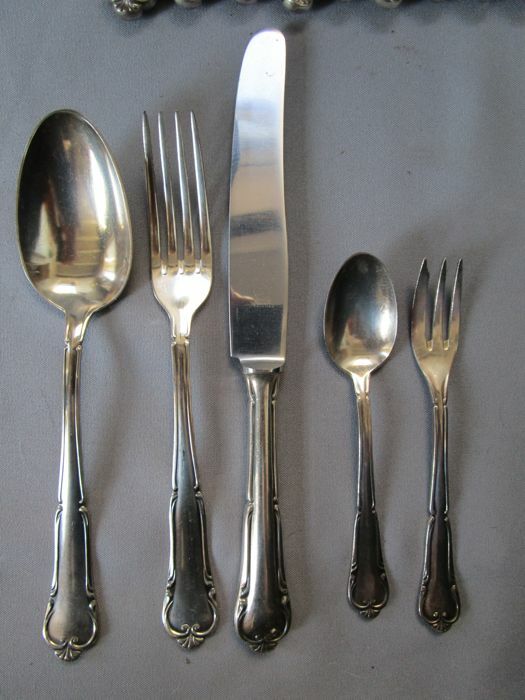 This silver-plated cutlery set is offered by Gürtler cutlery factory in Düsseldorf Germany. 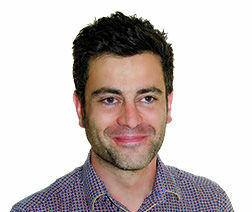 Insured shipping as package costs €23. 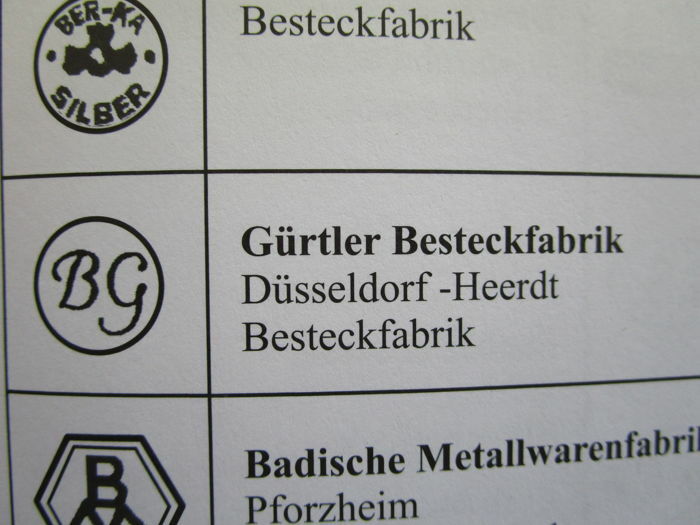 U kunt dit kavel ook ophalen bij de verkoper: Herzogenrath (NRW), Duitsland.